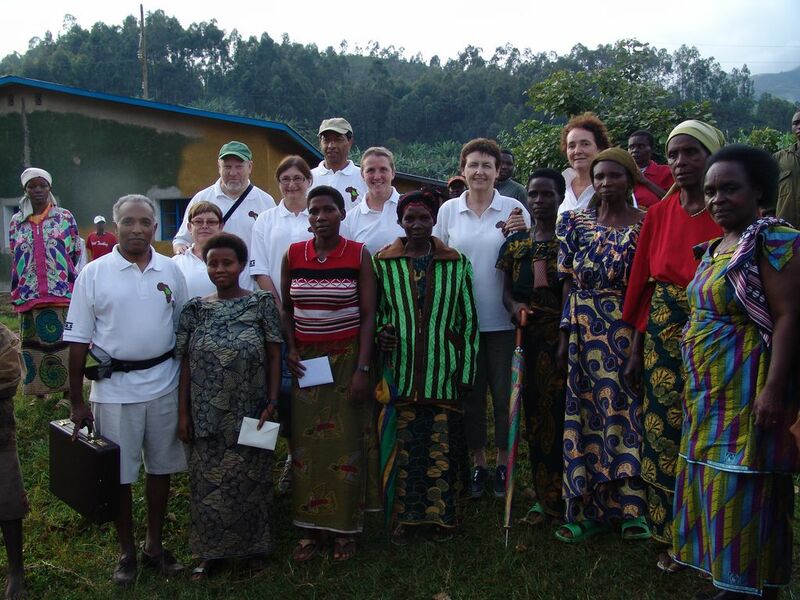 De association DUHARANIR AMAHORO exists of 16 persons, 14 women and 2 men and started in February 2008 under the chairmanship of Aline NIYONZIMA. By gathering the 16 of us we found out to be stronger together and cooperation makes lives better. Our biggest driver to start the association is to fight the hunger w, our families and neighbours are suffering of. Thanks to our association we started to realise we can improve by implanting a mill. Of course the members of the association will benefit first from the benefit of the mill, but also the neighbours of the Gitukura hill will benefit from it. The other partners are associations who are active in the field of development like UNÏFEM.... and the local civil servants. 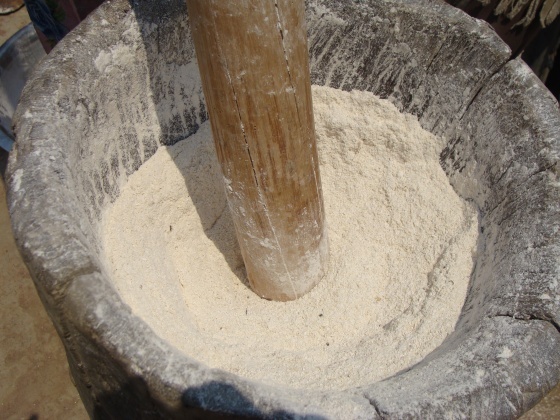 The controlling of the mill will be done by the beneficiaries and their partners. The plot on which the mill will be build is available and was bought by the association. As dough is the basis feeding in our region, we (being women) want to relieve mainly our task - on the one hand manual grinding – by replacing the tamping-bar by a mill. On the other hand we expect to obtain financial resources. Improve the financial income of the members of the association. Simplify the tasks to be done by the women. By increasing the financial income of the members and by allowing access to the mill for all members, the project will contribute in an improvement of the health of the population, as good quality flower will be available. On top of that the health of the cattles will improve as well as they will be fed with the left-overs of the maniok, mais and other grains.. The forecasted turnover, keeping in mind that the neighbours will use the mill too, will be two hundred and fifty thousand Burundese Franks (250 000 BuFr), after deduction of all costs. After paying back the costs of purchasing the mill one hundred thousand BuFr will be put on the account of the association. The rest will be divided under the member to foresee in the needs of the family. The neighbours will benefit from the experience in management and usage of the mill in their environment. Meeting the responsible persons for the start of the 2 ‘mill projects’ 'Gitukura' and 'Kabere'. (project 2008). Despite that the reception was not at all less cordial. of the confidence in the future as a consequence. The necessary funds for the realisation of the projects were handed over and the cooperation agreements were signed. the affirmative message from the responsible persons that they will all what needs to make these projects a success. Because of a lack of qualified technicians and workers often breakdowns occur. On top of that the price of spare parts is increasing. A man, who states he is member of the organisation, asks to sell the mill and to split the turnover. De women have refused this and the man files a complaint at the tribunal. We wait for the decision of the judge. The women have problems to manage their funds. We urgently have to plan some education in that as I doubt they keep their accountancy. The women are satisfied with the turnover of the mill and repeat that gratitude towards the association. Identical problems, except the complaint against the Gitukura-women. The association of Gitukura though is better organised than the one in Kabere. of the turnover of the mill. At the moment they manage as good as possible, to find technicians and workers without calling for help from others. Similar to the Gitukura-women, they repeat that sincere gratitude towards Vleugels van Hoop.